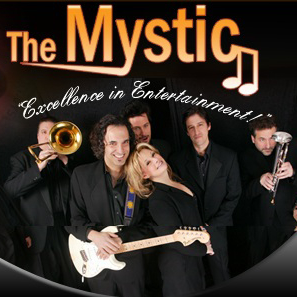 The Mystic is one of the tri-state area’s best live cover band’s! This band covers each song with such authenticity and feeling that fans and guests are left with lasting impressions of great music! The band has been very successful with their performances at weddings, corporate and private affairs as well as playing the club scene. Each of the band’s eight talented members contributes to the band’s unique persona and captivating style. Looking for an entertaining and energetic band? The Mystic is the perfect ingredient for any party!